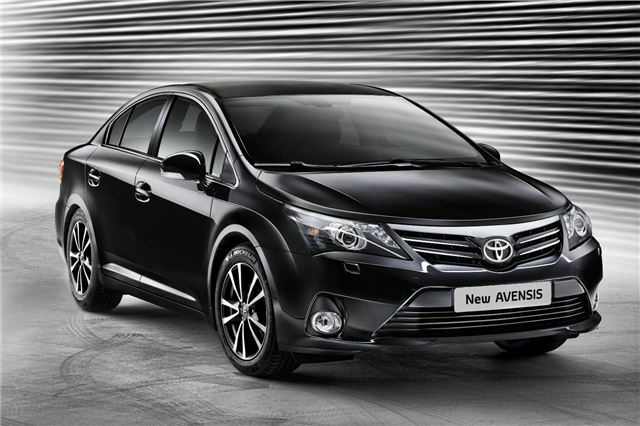 Toyota has released images of the facelifted Avensis, which is more efficient, cleaner and more refined. The styling has been improved, with new headlights, a lower grille and a redesigned rear-end. The majority of the changes are to the technology and powertrain, though. The Touch and Go system available in the new Yaris is now available in the Avensis, along with a host of safety and comfort options including adaptive cruise control with collision mitigating braking system, lane keep assist and adaptive front lights. The 2.0-litre D-4D now has emissions of 119g/km, down by 20g/km. That means lower tax for both private and company car drivers. The chassis has been overhauled, too, to deliver improved driving dynamics and a more rewarding drive. Finally, the interior has been overhauled, with improved materials and a more user-friendly layout, and the vents have been altered to look more upmarket, and the surfaces which are touched most, such as the dashboard and door handles, have been improved. The date on which the enhanced model goes on sale is yet to be released but it should be soon.